California's desert is spectacular in November! Deep blue skies. Cool nights and warm days. Beyond the summer sizzle, and ahead of the Holidays. The sweet spot for desert cycling. 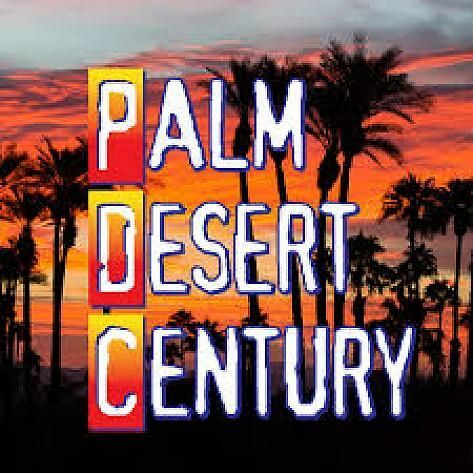 With a Start/Finish in the idyllic City of Palm Desert, the PDC offers unsurpassed desert cycling paired with a world class destination. Palm Desert is the premier Coachella Valley community, with abundant lodging options at most price points, a wide variety of fine restaurants, El Paseo Drive Shopping, and cool attractions for the entire family. All within 2-3 hours of Los Angeles, Orange County, San Diego, Tucson, and Phoenix. The Palm Desert Century route offers an entirely unique Coachcella Valley cycling experience. The out-n-back course design allows riders to select distances from 20 to 100 miles, based on personal conditioning, weather, winds, etc. The gentle start glides southbound through well developed cities of Palm Desert, Indio, and La Quinta, before turning east into the low deserts checkered with Orange and Date Tree groves, and vast fields of crops, at the northern shores of the Salton Sea. Prices rise $5 per month. Onsite cost is $125 for three longest rides or $110. OFFICIAL CHARITY: Boys & Girls Club of Coachella Valley.